The Financial Commission has announced that it will begin randomly publishing customer claims from its composition of member’s clients dealing with both binary options and forex, according to a recent statement from the Financial Commission. 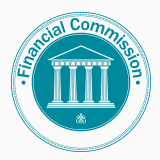 The Financial Commission is a neutral third-party regulator that arbitrates conflicts between Forex brokers and traders. With a growing number of cases overseen as well as the recent decision to open its membership to binary options providers, the Commission has carved out a niche in the industry as a transparent and growing entity. Having just recently accepted binary options certified members, including the first such platform member Binarystation, the Commission has been more active in the industry. The advent of customer cases and complaints is designed to highlight common challenges that are prevalent amongst both brokerages and traders when acting in tandem – these can be viewed by accessing the following Case Examples. In order to prevent a conflict of interests, each sample complaint has been purged of its personal identifiable information, thereby making sure it is purely informative, absent the threat of improper implication. As a corollary, complaints are commonplace between both brokers and traders, especially in regards to forex, where oftentimes traders misunderstand certain services or ‘fine print’, offered by brokers. Alternatively, brokers are also held to the highest standard, which is inherent for all members and brokers under review or investigation by the Financial Commission. without identifying the name of the broker, these examples provide little interest to the public and otherwise it would attract much of the attention. Can you please explain where exactly there is a conflict of interest in naming the broker which, for instance, fraudulently widens the spread to steal the money from its client? nich: obviously no broker would opt in to such a dispute resolution scheme if they would publish the whole case file like the NFA. This can only be done by a regulator where brokers have to get a mandatory membership or license by law. 90% of the brokerages advertising here have a very chequered past. best leave this to the regulators. with retail fx, it is just a race to the bottom!